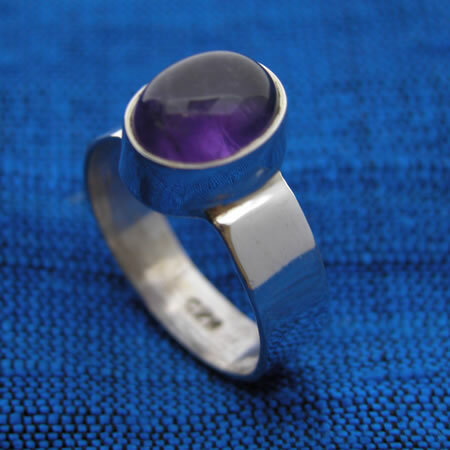 Simple silver ring with medium sized cabochon stone. Handmade in India. Stone measures about 1/2" tall, sterling silver.